At Clearway Gritting we provide complete winter weather maintenance and winter gritting services. We carry out preventative road gritting and road salting service as well as emergency snow clearance, ice clearance and emergency gritting and salting services. We keep businesses working by providing essential gritting and salting services for car parks, access roads and footpaths. These are critical services required to maintain high health and safety standards. As part of our complete gritting and winter maintenance service we supply new grit and salt bins as well as undertaking the refilling of grit and salt bins. 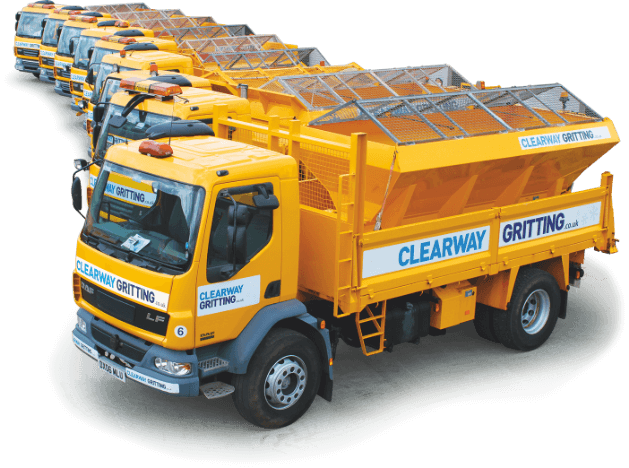 Clearway Gritting provides road gritting and road salting services throughout Hertfordshire, Bedfordshire, Buckinghamshire, London, Cambridgeshire, Essex and the South East. Heavy snow falls and sudden drops in temperature cause difficult and dangerous driving and walking conditions. Our 24 hour emergency road gritting and road salting service gives you piece of mind.